- New Echo SL hydraulic rim brake, the top-of-the-range brake from Asian manufacturer Echo, updated for the 2015 season. - Exclusive, ultra-light Echo SL lever design, made from a single piece of high quality 6061-T6 CNC aluminium alloy. - Features a reversible lever, so it can be used as a right-hand or left-hand brake. 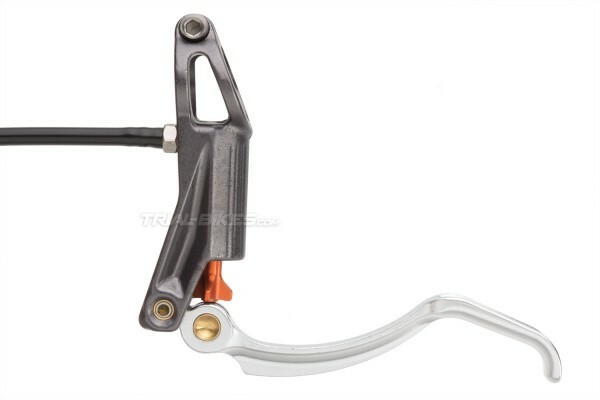 - The TPA adjuster is also made from CNC mechanized aluminium, in anodized orange color, located between the lever blade and lever body to ease its use. - 2-finger lever blade (105mm long), now stiffer and more comfortable, in anodized silver color. - The cylinders are smaller and more compact than those in standard Magura HS brakes, to help avoid them from being hit with the ankles. - Note: due to these characteristics, the adjustment range is limited, so a 42mm-or-wider rim must be used (in case the frame has a 100mm space between mounts). - The brake comes already bled with mineral oil, ready to use. - The handlebar clamp and bleed port bolts are made from high quality titanium. 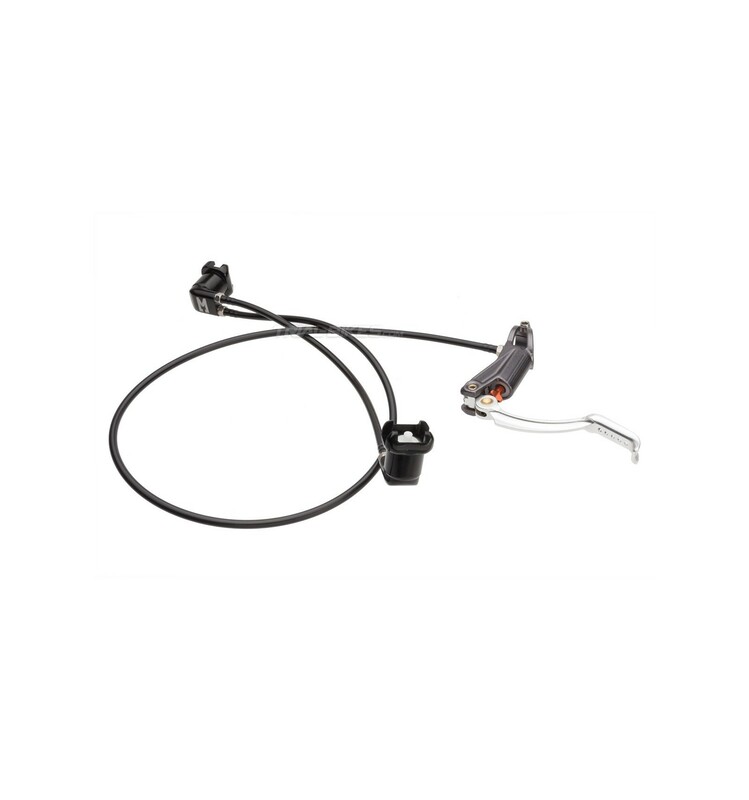 - Available as a front brake (with an 805mm long main hose) or as a rear brake (with a 1200mm long main hose). 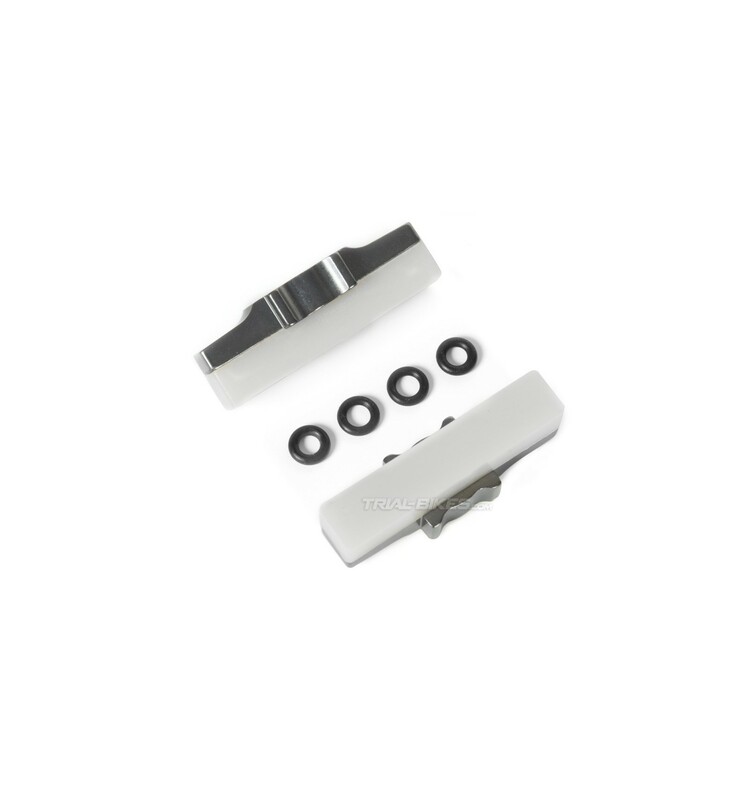 - Supplied with Echo SL CNC White brake pads (also available here). - Does not include brake clamps, which can be purchased separately here. 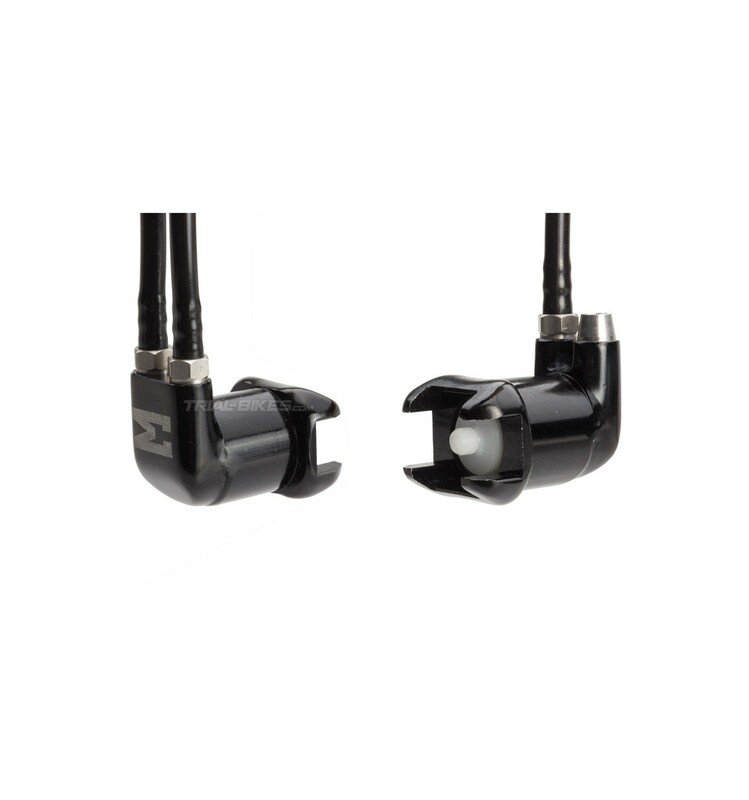 - Only available in anodized black color, with the TPA adjuster in orange. - Only available in anodized dark grey, with the TPA adjuster in orange. The brake must be bled with mineral oil only (never with DOT oil). 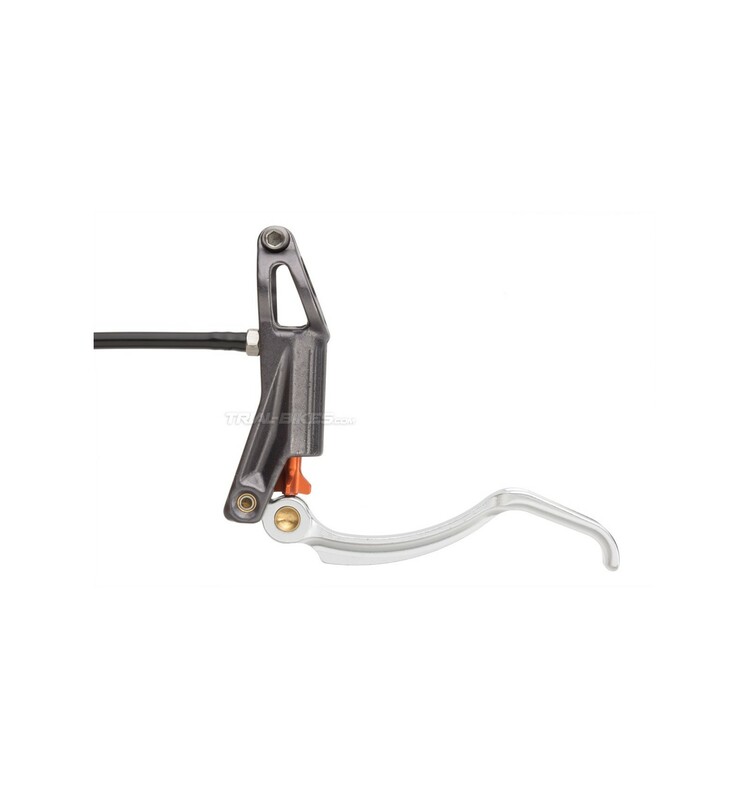 This brake is supplied with a 6-month warranty, which covers manufacturing defects. Any damage caused by an inadequate use, bleeding or unsealing the brake will invalidate the warranty immediately. If you want us to shorten the hose to a specific length, let us know and we will do the job! (The order might be delayed between 24 and 48 hours).